Every once in a while I get a shoot that makes me feel I am giving someone more than just a valuable service. The photos I am taking are not just so that they can sell their product, restaurant, service or magazine. Yes, my portrait images are important, meaningful images that will be treasured for the rest of someone's life, and passed down in the family. Daughters, sons, granddaughters, grandsons, and great grandchildren will all look at these images, hang them on their walls, see their own eyes in the eyes of their relatives, the shape of their face, the size of their hands, and remember their relative in their element, with their beloved horse - another family member that perhaps they know from distant, foggy childhood memories, and perhaps they didn't know at all. But sometimes a shoot goes even beyond that. A shoot like this reminds me of just how valuable photography is in our lives. Yes, we all take photos, but there are times when we need not just photos we took, but photos that someone else took of us together, that are works of art worthy of hanging on our walls. And that time is when our beloved family members, animals or human, pass from this world and travel the rainbow bridge. I had an urgent request from a client in Maryland last week. Her horse was at the UGA Large Animal Vet Hospital in Athens, Georgia, and things were not looking good. A sudden, unidentified mysterious illness was taking its toll on Deville. 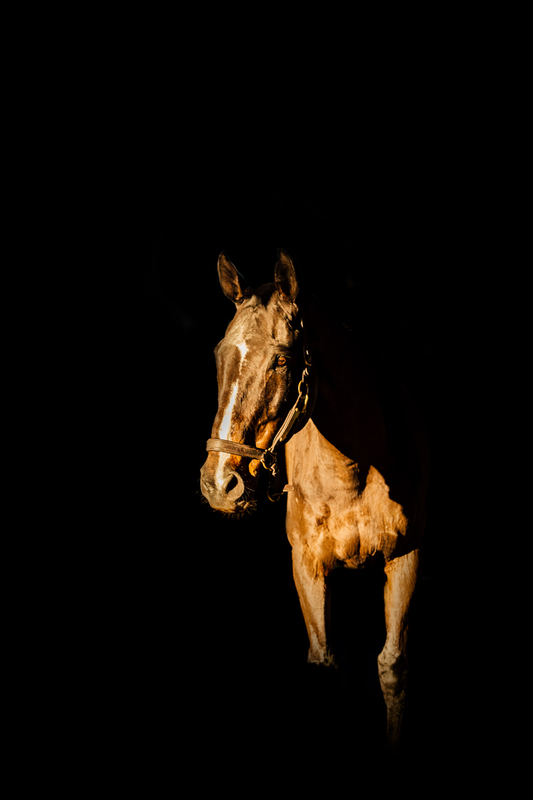 The vets and his owner had decided it was not in his best interest to keep him alive - at 18 he had already lived a full and happy horse life - and with no knowledge of the illness, they had no way to treat him. He was in pain, and he was getting worse daily. Georgiana realized that she had few good photos of herself and Deville, who had carried her through the show rings in the days of his prime, and whom she loved enough to retire and continue paying for his keep. Of course, I made this shoot a priority in my schedule. How could I not? I could tell from their interactions that they had a connection built on mutual trust and respect, that had been forged during hours upon hours of learning to communicate silently with one another, merging into one being when she sat in the saddle. Perhaps his mane had caught her tears at some point, and she knew just where to scratch him to make his lip stick out sideways. I lost my Echo cat last summer, three weeks before moving across the country. I spent days looking through photo books and my iphone, of pictures that I had taken of her from kittenhood when I was 18 until even just the day before, photos that my husband had taken of her and I together. I framed one of them and it sits on my vanity, where I can see her every day and remember what an important friend she was in my life. This is how we have come to grieve for our loves these days: looking through photos, grasping wildly at whatever is left of their presence as their self drifts slowly away after their physical body was laid to rest. And this is how we remember them when they are gone. The prints have been ordered, as has the special box that will house the prints and the memories. 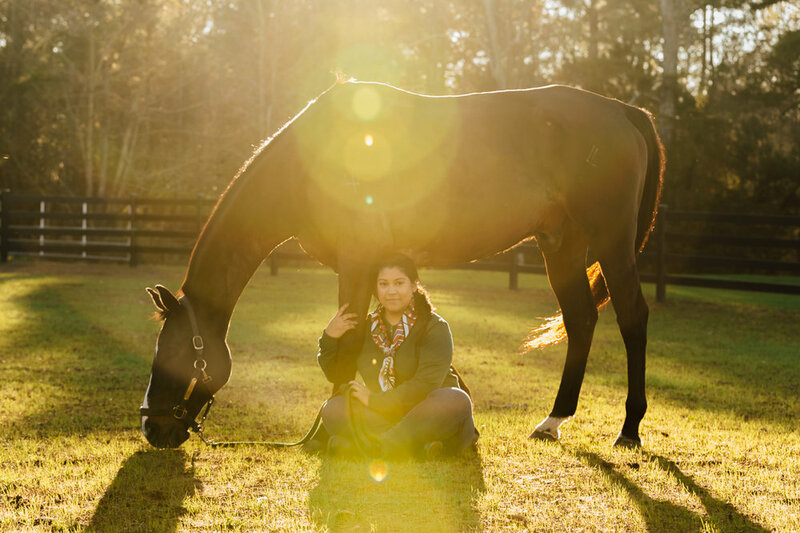 And I hope that they will comfort Georgiana as the weeks and months pass and she remembers the tall, handsome bay Thoroughbred that was her trusted friend for so many years.